I knew this day was coming. We all did. 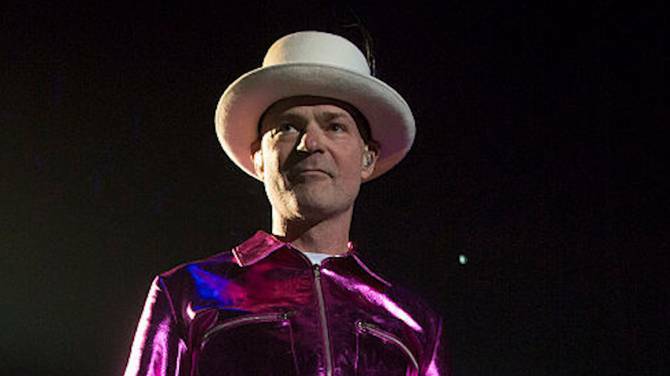 We knew it was coming that morning last May, when the email from The Tragically Hip popped into our inboxes and said that Gord Downie had terminal cancer. We knew it was coming those nights last summer, when we gathered in hockey arenas across Canada to see the band one last time to say goodbye. But that didn’t make the news alerts this morning any easier. Gord Downie was the lead singer to the soundtrack of my life. You know how much Tom Petty meant to most of you? That’s what Gord Downie meant to me. Between the 13 concerts (plus one solo concert of his) and the endless hours of music on every stereo I’ve owned since 1995, I’ve probably listened to Gord Downie’s vocie more than anybody else's except my parents, sister and wife. Gord was such a magnetic performer, it overshadowed how great a writer he was. He was a brilliant lyricist. His writing could be esoteric at times, but he tossed off lines that would make you shake your head with their meaning and beauty. Read the lyrics to “38 Years Old.” It’s a fully formed story at 280 words. In the old days, on The Hip listserve I was a member of, there was a story of Gord walking around with a messy binder full of poems, notes, observations, lyric fragments. It’s a wonderful image I hold in my head — Gord walking around with the binder, saving notes, using it all up, not saving a thing for later. It’s weird when one of your favorite musicians dies. Friends give you condolences like you lost a family member, which is kind of absurd. I didn’t know Gord Downie. I met him once. (He signed a photo to me “Brian’s in the belfry.”) I don’t know the type of person he was outside of how he’s being remembered in news stories. I only know him through his art. There's something special about the musicians that matter to us. As communal as music can be, of all the art forms, it’s also the most intensely personal. We hear their voices on headphones that sit inside our ears, on our personal devices and playlists. Songs and lyrics and riffs and chords speak to us all individually. A song that means nothing to me will bring you to tears, and vice versa. In the end, all the explanations fall short. Because when it comes to love, reasons don’t matter. The Tragically Hip were my favorite band because they were my favorite band. Gord Downie mattered to me because he mattered.